During the registration process for our culinary arts summer program, students will get to pick a concentration, either Savory or Pastry. We call these their ‘Concentration” and what it means is, each student will spend most of their time in one of our two dedicated professional kitchens, focusing on either pastry or savory. Individuality and expression are remarkably available when it comes to cooking, and the culinary arts. Our student come from around the globe, and we want to be able to offer them the kind of classwork they are looking for; if they want to learn how to make homemade whipped cream, or fajitas that are actually awesome, or a real Pad Thai dish, or Creme Brulee done correctly… these things are not easy but we make it so they can try over and over until they get it right! This is much more than identifying the taste buds or making bread or pizza and calling it a culinary program. This is about deep, intensive immersion with access top professional kitchens and staff. 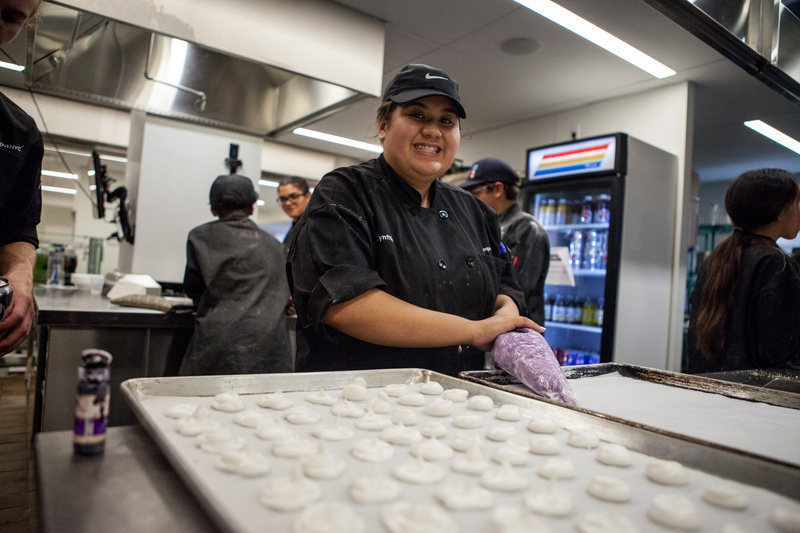 We feel it is important that each side of the aisle – pastry or savory – get their own space and dedicated trained chef instructors in a professional kitchen. For our standard two-week sessions we have two wholly distinct kitchens, each dedicated to one pursuit. 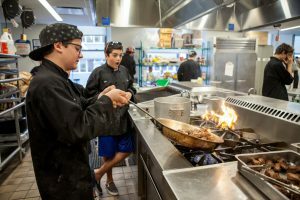 It is critical that our culinary arts students have access to professional – level instruction, and that the kitchens themselves are equipped with professional equipment. Anything less wouldn’t be the campusNYC experience – the best culinary arts summer program in the world. In both kitchens, we work on professional presentation. Plating techniques are critical. If it looks good… it must be good… don’t you watch CHopped Junior / Iron Chef or any of the other cooking shows? Presentation is everything… well not everything! But plating is critical. This is a master class for any skill level; we pride ourselves as the top culinary arts summer program in the world. Sugar.. sweets… baking… pastry… For students who want to make pies, or cakes, or even cookies, or anything else on the pastry side of things, choose this concentration. This will give you extra time with our Pastry Chef. You’ll learn how to make crust from scratch… how to make your own frosting… for people who love desserts this is the place to be. We don’t need to explain what a pastry chef is! With almost 100 recipes, this is going to be a sweet class! Hand-made frosting squeezed out just so! campusNYC culinary arts summer program is the best! Yum! Sweet goodness made just so at campusNYC culinary arts summer program. Fajitas… steaks… shrimp… cous cous… vegetarian… vegetables… anything that hits the salty or savory side of the palate. 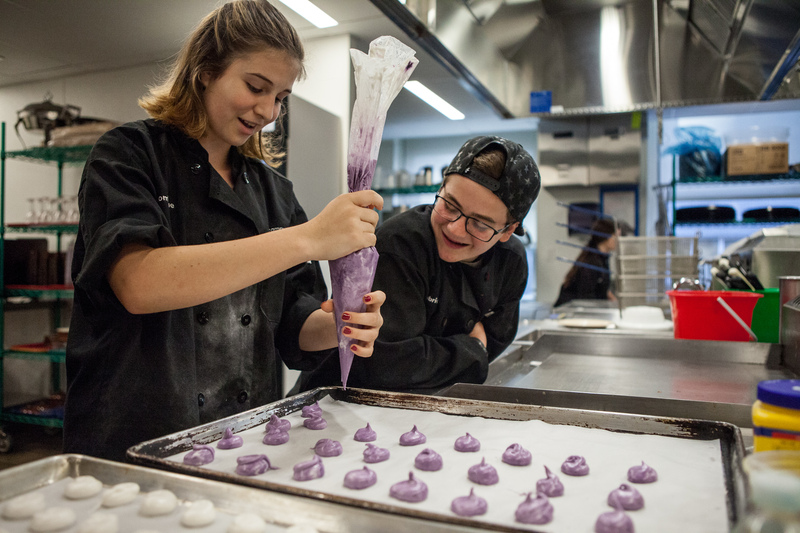 Some students want to focus on savory foods, and this is their chance to get extra time learning more about these kinds of recipes. Last summer our students made over 100 recipes… nowhere else is this kind of experience possible; and nowhere but NYC is the true foodie destination! Wow! 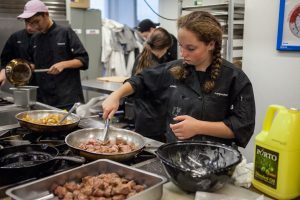 Savory students at the campusNYC culinary arts summer program. 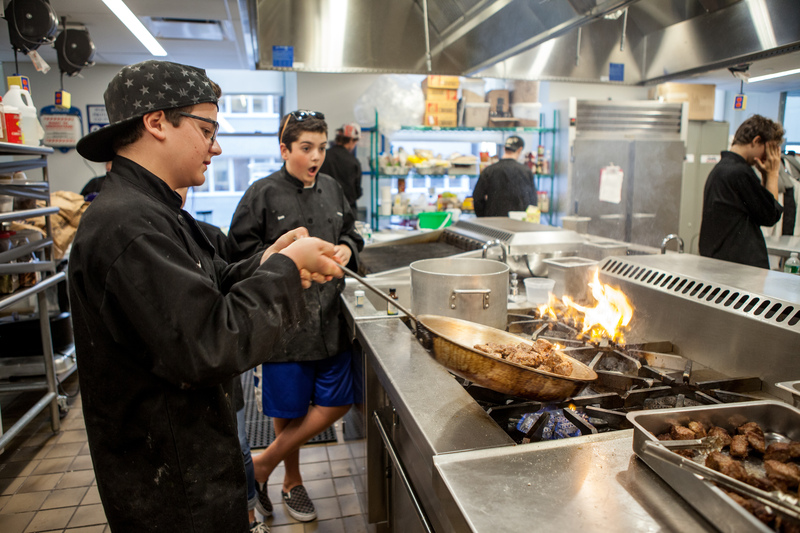 More savory goodness at the campusNYC culinary arts summer program.